Everyone You Know are Rhys Kirkby-Cox and Harvey Kirkby, brothers from the satellite towns of London, blending influences from hip hop, punk and 90's rave to generate their own generational sound on their debut release 'Our Generation'. Musically influenced by everything from Wu Tang to Shy FX, The Prodigy to Arctic Monkeys, it's nevertheless been family that's been the key to unlocking their current status as two of the hottest emerging artists in the UK. 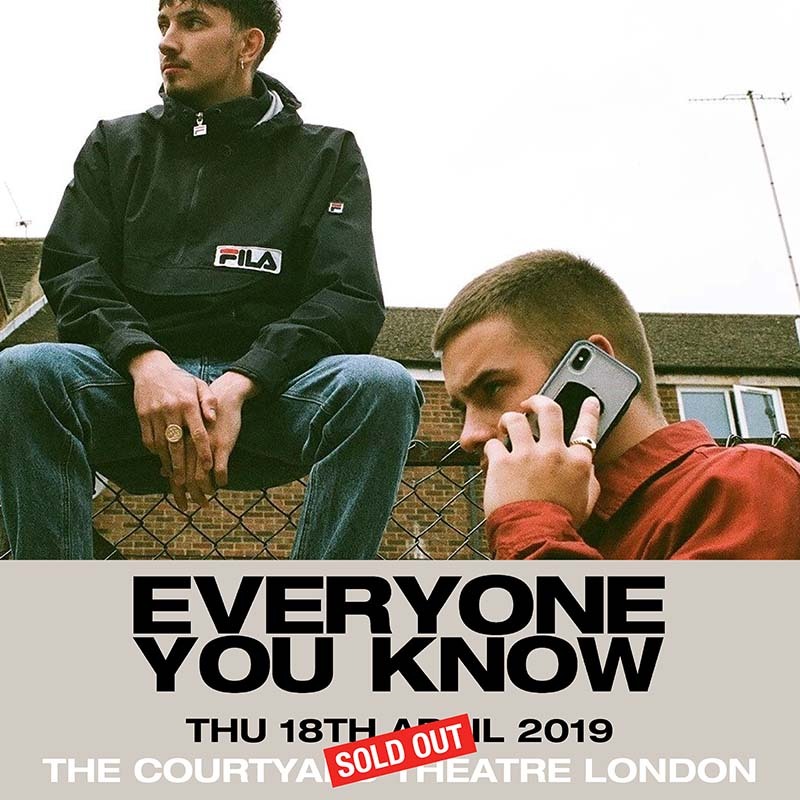 Their dad, a huge music fan who was heavily into jungle and hip hop when Rhys and Harvey were growing up, would soak them in east coast hip hop as well as tunes from the burgeoning jungle scene in the UK.